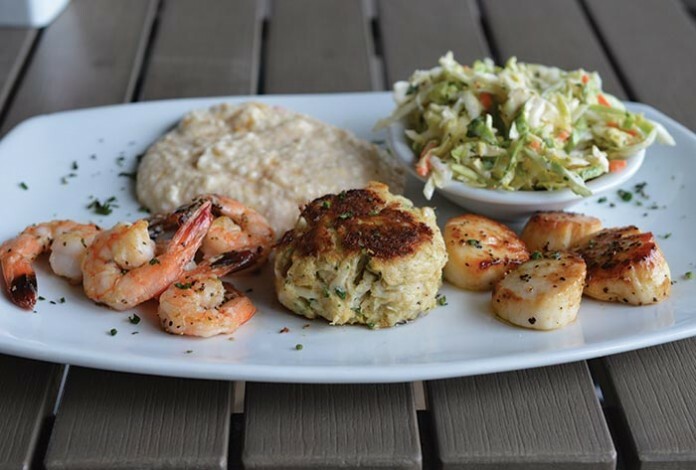 Every meal is crafted with fresh, local seafood at Acme Lowcountry Kitchen. Is there anything better than enjoying fresh local seafood as salt air wafts through swaying palms? 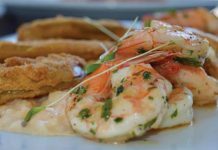 At Acme Lowcountry Kitchen, drinks are generously poured, shrimp is battered and fried to perfection and memories are crafted. Since the ’90s, this eatery, loved by locals and visitors, has offered patrons quality food in a no-frills beach-side environment. Building up a loyal clientele with its stellar brunch and fresh regionally caught seafood, it’s no wonder folks from off the island make the trek. Driftwood, paintings of sea turtles and a metal marlin can be found on the restaurant’s interior, while the enclosed patio provides ample seating – lending itself to hours of carefree dining and conversation. 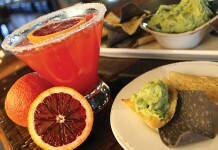 Chef Charles Arena consistently delivers dishes that exceed expectations in both flavor and presentation. 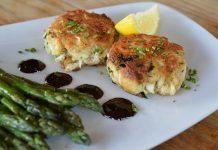 Diners can take a glimpse at the chalkboard to review the daily specials that can range from grouper cake benedict to soft shell crab salad. All of the shrimp served at Acme is caught locally. 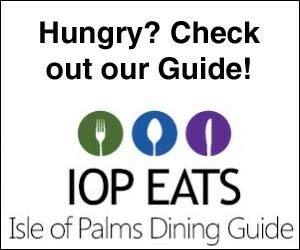 Whether you want perfectly seared scallops or a lobster burger, this spot never disappoints. The hush puppies are a perfect complement to the crisp fried seafood platters and refreshing slaw. Choose from 30 canned and bottled craft beers or sip on a Moscow Mule, packed with just the right amount of ginger. As if the drinks and delectable dishes weren’t already incentive, a visit to Acme on your birthday will get you discounted food – the older you are, the higher the percentage docked from your bill. Acme Lowcountry Kitchen is a staple of IOP. Much like the volleyball net behind The Windjammer or the neighboring whimsical mailboxes that take the shape of pelicans and dolphins, this restaurant has become synonymous with this island. 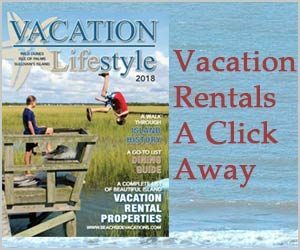 Acme Lowcountry Kitchen is a piece of IOP culture – a culinary treasure box overflowing with character, down-to-earth-charm and plenty of options to satisfy both your stomach and your wallet. It has served as the backdrop for bachelorette brunches and post-marathon celebrations. It’s a place where you can belly up to the bar, your feet still holding the sandy remnants of a day spent frolicking in the Atlantic, and know you are going to get the laid-back yet attentive experience you deserve. To learn more, visit www.acmelowcountrykitchen.com or call 843-886-3474.